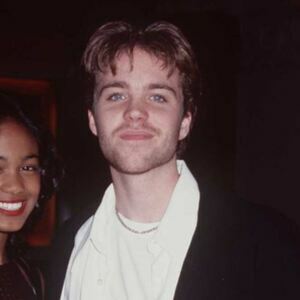 How much is Jonathan Brandis Worth? Jonathan Brandis net worth: Jonathan Brandis was an American actor, director, and screenwriter who had a net worth of $400 thousand at the time of his death in 2003. Jonathan Brandis was born in Danbury, Connecticut in April 1976 and passed away in November 2003. One of his best known roles came starring as Lucas Wolenczak on the television series SeaQuest 2032 from 1993 to 1996. Brandis also appeared in or did voice work for the movies Fatal Attraction, The Wrong Guys, Oliver & Company, Pet Sematary, Stepfather II, Ghost Dad, The NeverEnding Story II: The Next Chapter, Ladybugs, Sidekicks, Dumb and Dumber, Outside Providence, Ride with the Devil, Bad Girls From Valley High, and more. He also appeared in episodes of the TV series One Life to Live, Kate & Allie, Good Morning, Miss Bliss, L.A. Law, Webster, Full House, Who's the Boss?, Murder, She Wrote, Alien Nation, The Flash, The Wonder Years, Blossom, Saved By The Bell: The College Years, and more. In 1994 he won a Young Artist Award for Seaquest DSV. Jonathan Brandis committed suicide on November 12, 2003 at the age of 27.